It is just a week more till the general elections. Two salutary features have stood out at this election. Both are evidence that the principles of good governance are getting more deeply embedded in the minds of the electorate as well as in the political system. The first is the decrease in the level of violence and generally low profile of the election campaigning. This has not been due to any lack of passion or eagerness to win on the part of individual contestants or their political parties. Rather, it has been due to the strict implementation of laws by the election authorities and the police, without interference from the government. 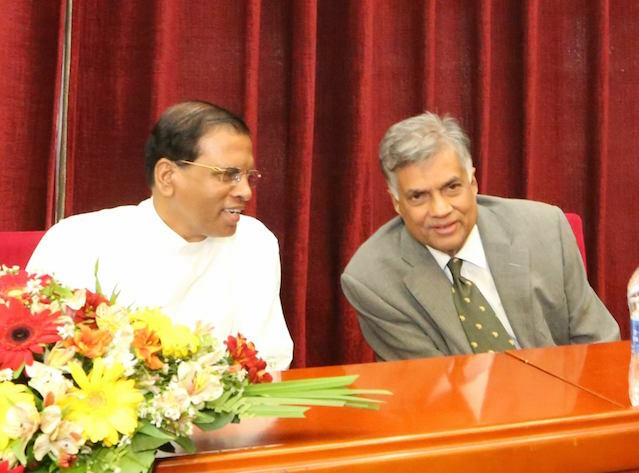 The credit for this sharp turnaround from the no-holds barred nature of previous elections must go to President Maithripala Sirisena and Prime Minister Ranil Wickremesinghe who have been true to the adage that the rule of law and not the rule of men should prevail. On this occasion the Election Commissioner and police have been strict in implementing the law. It can now be seen that the election law is quite restrictive and limits the space for election campaigning. Election posters, streamers and hoardings can only be put up near election offices and at election meetings only for a specified period of time. The subdued public manifestation of the election campaign has been so marked that some of the international election monitors have been struck by the absence of walls inundated with posters and streets clogged with cut-outs and hoardings of the contestants which they had come to associate with democracy in Sri Lanka. 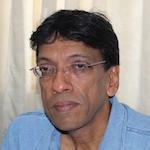 This has made them wonder whether there has been a diminishing of the vibrancy of Sri Lankan democracy and whether the electorate has lost interest in the elections. On the other hand, to most Sri Lankans who were subjected massive overdoses of election propaganda in the past, and which was heavily weighted in favour of the government in power this discipline being imposed on the political contestants has come as a welcome break with the past. The contesting politicians may be unhappy that they cannot make themselves easily known to the electorate via street posters and hoardings. But to the people whose vote they seek, most of them are glad to have a respite from the propaganda warfare of the elections of the past which frequently degenerated into violent clashes in which members of the ruling party invariably had the upper hand. The second salutary feature at these elections is the relative absence of inter-ethnic and inter-religious tension or the inculcation of fear in the ethnic and religious minorities. This has not been for lack of trying by a section of those contesting the elections. The segment that spearheaded the “Bring back Mahinda” campaign did their best to portray former president Mahinda Rajapaksa as the hero leader who won the war with the LTTE and whose return to leadership of the country was essential to preserve the gains of the war victory. They alleged a conspiracy between the sections of the Tamil polity in Sri Lanka, the Tamil diaspora and the international community to divide the country after the defeat of the former president. However, their campaign to use ethnic nationalism and fear of the other communities to take the centre stage in the election campaign failed to gain traction with the electorate. Despite the best efforts of their orators, the opposition led by the former president has been unable to convince the general public of the seriousness of the threats they speak about. It is ironic that the very success of the previous government’s post-war security system that did not permit a single act of pro-LTTE violence to take place has contributed to the general sense that the revival of the LTTE is not a real danger in the foreseeable future. This may account for the absence of agitation at the entry into the elections of former LTTE cadre who are contesting under the Tamil name of “Warriors for Democracy”, and whose slate of candidates includes one of the late LTTE leader’s bodyguards. The opposition’s attempt to use ethnic nationalism to capture the centre stage of the election campaign has not materialised. Discussions with civil society groups in Anuradhapura, Puttalam and Galle that I had over the past week reinforce this observation that the electorate is not giving issues of national sovereignty, territorial integrity and conspiracies to divide the country the attention that they once gave. Instead the general sentiment is to focus on issues of good governance and corruption. It is also to acknowledge that all communities had suffered during the war and this included the Tamil community who needed to be assisted to get back on their feet. There were questions about what might constitute a just political solution. The fact that the main Tamil party, the TNA, had demanded federalism in their manifesto and also the merger of the Northern and Eastern provinces was not uppermost in their minds. In the post-war period one of the issues that civil society groups addressed was the need to politically address the roots of the problem that led to three decades of war. This was not a task that the political parties themselves undertook on any significant scale during the past decade. The previous government downplayed the need for a political solution on the basis that the elimination of the LTTE had negated the need for any such solution. It also downplayed the costs of the war and the need to repair the damage to the moral and social fabric of the country. The previous government even denied that there had been large scale civilian casualties in the last phase of the war until the international community began to exert pressure on it to come out with the truth. It was in this negative context where that civil society activism ensured that community leaders in diverse parts of the country were able to engage in inter-ethnic and inter-religious dialogue through seminars, workshops and exchange visits. It is largely this civil society work that has created a general environment in the country that is today showing a positive resistance to attempts to re-ignite ethnic nationalism within society. Another important civil society input towards defusing a focus on ethnic nationalism has been the refocusing of the electorate’s attention on voting for un-corrupt candidates. The March 12 Movement spearheaded by election monitoring organisation PAFFREL, has contributed significantly to the perception of the electorate that identifying suitable candidates should be the priority. This offers voters the possibility of staying with their accustomed political party, but giving their preference votes to those who will be problem solvers. On March 12 the leaders of all political parties signed a declaration consisting of eight criteria for selection of suitable candidates—that they should not be criminals, be free of bribery and corruption, be free of engaging in anti-social trades and businesses, not abuse power, be concerned about the environment, not enter into illicit financial contracts, be close to the people and provide opportunities for women and youth in political life. It was the weight of public opinion that led the political leaders to sign this declaration even if they subsequently have failed to abide by it. In the final week of the election campaign it is important that civil society groups should continue this campaign. Sri Lanka needs parliamentarians who understand the need for systems of government in which the rule of men gives way to the rule of law. With it all problems, including the ethnic conflict, will become easier to resolve.